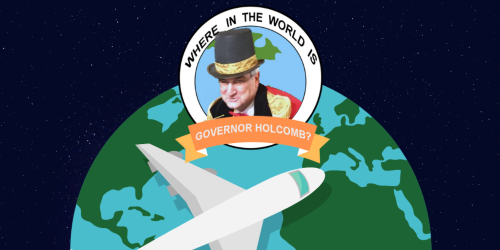 INDIANAPOLIS – Just over two years into his first term, Governor Eric Holcomb has already amassed more international trips than his two Republican predecessors. Holcomb’s nine-day swing through Europe wrapping last week was his eighth international journey, surpassing Pence’s 42 days on seven trips over four years. Mitch Daniels traveled internationally seven times in eight years. After declaring he would be ‘hyperactive’ lobbying for a complete hate crimes law, Holcomb sidelined himself for more than a week during a critical portion of the legislative session. Indiana Democratic Party Chairman John Zody questioned Holcomb’s game plan. Zody pointed to Daniels’ frequent use of an RV to travel the state, logging over 85,000 miles and stops in all 92 counties. Governor Holcomb has yet to apply a similar level of hustle, instead relying on press statements to convey his intent on hate crimes. It’s a head-scratching strategy, devoid of the retail politicking and in-district pressure Statehouse watchers have said is necessary to move the needle in the House. It’s difficult to imagine a scenario where Holcomb wouldn’t testify in committee for a complete hate crimes law. Remember, Holcomb has spent more than a quarter of the legislative working days before the House committee report deadline across the Atlantic. The House committee report deadline is April 9.